Have you looked at your lead management approach from the perspective of customer experience? If not, you may want to start now. The average conversion rate of marketing qualified leads to customers is low. You may be wondering: how low? According to Forrester, top performers convert 1.54% of marketing qualified leads to revenue. This means almost 98% people who start the customer journey are lost. Also, marketers see generating high-quality leads as their number one business challenge according to The 2017 State of Digital Marketing Report published by DemandWave. I’ve learned that increasing your lead quality (or quantity) won’t make much difference unless you can help people with their buying journey. It’s about customer experience. LeanData’s 2017 study on lead routing and management found 57% of respondents questioned if their lead management workflow creates a positive customer experience. In other words, respondents weren’t sure if people were happy with how they were being treated. You need to think about the experience you want to create for your potential customer while your optimize your lead management. In this post, I’m going to explain how to do lead management that increases conversion from the perspective of customer experience. These are just some of the reasons why it’s more important than ever to make sure your team is properly managing leads, and why you need to optimize your approach. Setup service level agreements (SLAs) between sales and marketing on what sales will do once they get a sales-ready lead. Next, I’m going to share five steps to you can use to optimize your lead management and convert more leads to revenue. Marketers typically have their own ways of determining lead quality, but it’s shocking how many don’t know the other side of the story: what do salespeople consider a qualified lead? As a marketer, your job isn’t simply to generate leads. You need to help identify which of those leads are the best prospects for the sales team to follow up on right away. Next, you need to filter and qualify leads based on your universal lead definition. Make sure you define your lead qualification and follow-up process. This is where having SDRs and insides sales reps handle this process to help you determine when a lead must be moved further down the funnel. Also, marketing automation platforms and lead scoring help a lot. But there is only so much that automated systems can accomplish without a human touch. That’s why you need people like sales development reps (SDRs) or inside sales in place to identify qualified leads for sales readiness. Lead nurturing is the process of having a relevant, consistent dialog with viable potential customers, regardless of their timing to buy.” With lead nurturing, you are strengthening the relationship you have with potential customers, by adding value, even if they never buy from you. Many people think lead is nurturing as just an email workflow in their marketing automation. Instead, you need to think about it in much broader terms by reaching people in whatever channels they want to be contacted with information that is valuable, relevant and helpful to them. When you nurture leads, it is important to offer content which is relative to their needs at any given time. Remember to nurture accounts, not just people. By providing an individual with meaningful information, you are helping that person have meaningful dialogue with others in that organization. You need to think about what’s useful to your potential customers. That’s why relevant content is essential, and you can’t get stuck in a “set it and forget it” campaign mentality. 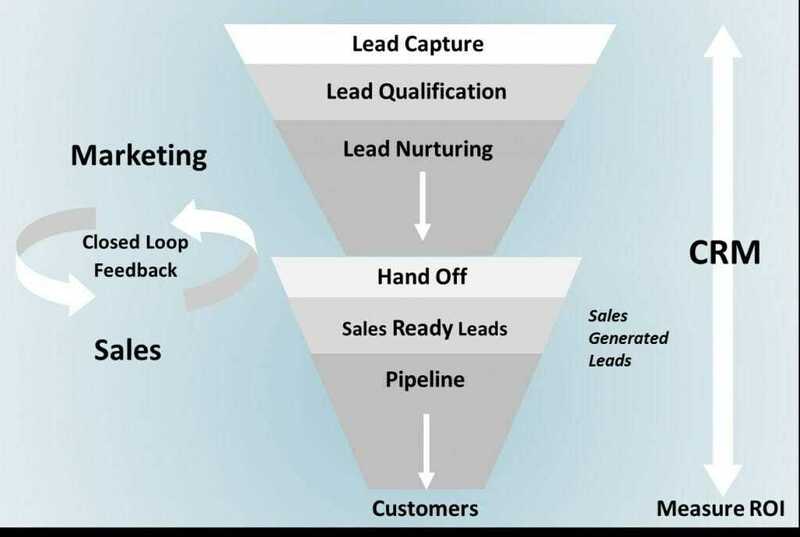 The handoff between marketing and sales is crucial and yet remains a common misstep in the course of moving leads through the funnel. To make the routing as smooth as possible, you need to have a documented process agreed upon by both sales and marketing. 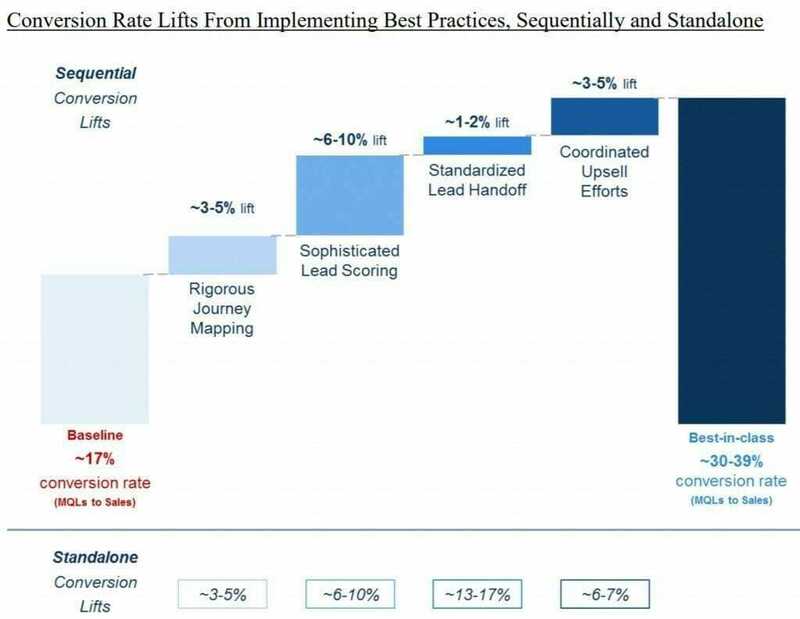 Ultimately, a clear lead routing process not only increases efficiency but also shows if your leads are helping your sales team convert, as well as measures the contribution you make to the pipeline. Effective sales and marketing organizations are ones that communicate well. Regular meetings should be held to gauge progress and success. In these “huddles,” both teams can collaborate to review results, fix procedural errors and refine priorities moving forward. You want to answer two questions: Are your qualified leads helping your sales team sell more? And, how can you increase the probability that your qualified leads will become customers? I’ve covered five areas you can focus on to optimize and improve your lead management to increase conversion. By optimizing lead management from the perspective of customer experience, you will generate more revenue because you’ll have a human-centered approach help people through their journey to become customers. I’d love to hear from you. What did I miss? 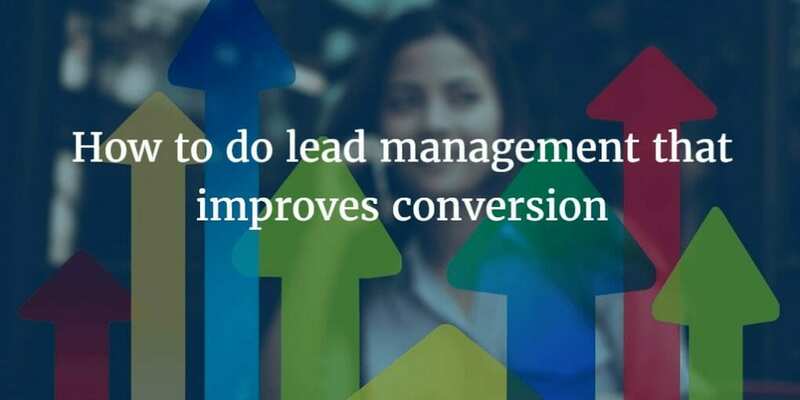 What have you found that helps improve your lead management conversion and customer experience? Previous Post Who should own lead generation for a complex sale? Next Post Stuck on words: how can marketing connect with customers better?